As you all know, the EU General Data Protection Regulation (GDPR) takes effect today! (May 25th, 2018). It aims to protect fundamental privacy rights and the personal data of European Union residents. While they were 4 long and tiring weeks of full-time work towards GDPR compliance, in which almost all of our team took part in the efforts, we’re now ready to meet the new standards for the data privacy. On a personal note, I’m super excited about the results and the tools that we’ve added to help you get ready as well! Disclaimer: Before we get to it, please note that I’m not a lawyer and this is not legal advice. This article covers the best-practice we used and recommend for others to use in order to comply with the GDPR. That said, we can’t cover everything here, and you should definitely get some professional counseling on the subject. What does GDPR mean for the Freemius team? What Has Freemius Done to Be GDPR Ready? We worked on a new & shiny Cookies Policy where we describe the functionality of all our 1st Party and 3rd Party Cookies. We’ve also added a one-click Opt-out button from our 1st Party cookies, as well as links to the 3rd party services’ cookies policies which have their own opt-out options. We crafted a Data Processing Addendum (DPA) to govern Freemius’ and your handling of personal data. It is now part of our Vendor Terms of Service. We’ve added a cookies consent mechanism to all of our user-facing assets: Website, Blog, Knowledge Base, In-Dashboard Pricing, Checkout, Dashboard. Identifiable cookies are no longer created for EU visitors during the 1st time they visit any of the assets, without their explicit consent. More on that below. Our daily Database backups are now encrypted before they are stored on AWS S3. We use a different encryption key for every backup and the keys are stored on a different server. So even if AWS S3 is hacked, the attacker would still end up with encrypted, useless data in his hands..
GDPR’s strengthened requirements make it much harder to obtain legal consent for identifiable cookies. Implied consent is no longer sufficient, so messages like ‘By using this site, you accept cookies’ are no longer an option. An explicit consent must be collected using a clear affirmative action, like clicking on an “opt-in” button. Most 3rd party services, such as Google Analytics, automatically generate an identifiable cookie for tracking, right when their JS snippet is included. This is also relevant for chat widgets, retargeting pixels, social sharing buttons, and more. Removing those valuable services, even if only for EU visitors, was not an option since those services are vital for our business. So we had to come up with a creative solution. The reason I’m mentioning this is because it’s probably relevant to your website as well, and can help you with GDPR compliance. I highly recommend their service. They have a rich free-tier and the geolocation identification is included! 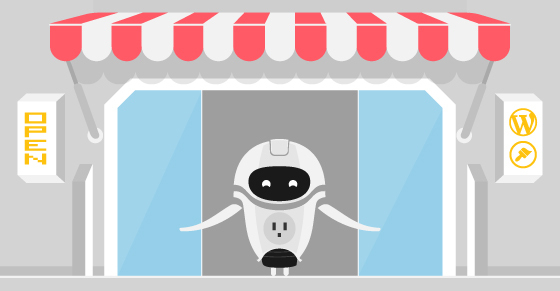 EU-based businesses may be required to collect a cookies consent from all their visitors. Please advise with an attorney/professional. If the visitor is not from the EU, the registered 3rd party scripts will execute immediately. If the visitor is from the EU or if they opted-out of cookies via our Cookies Policy page (FS.Scripts.optOut()), the 3rd party scripts will remain in the pending queue and no cookies will be created during that pageview, giving the visitor an opportunity to act before cookies are set on the first visit to a site. If a visitor opts-in to cookies (FS.Scripts.optIn()), the registered scripts will be executed. If an EU visitor continues browsing without opting-in, ignoring the cookies opt-in message, that would be considered as a “soft opt-in” consent, and the cookies and scripts will be included. How Does Freemius Help You Be GDPR Ready? 'yes' – means that you can send promotional emails to the user. 'no' – means that the user explicitly opted-out from marketing emails. You can still email announcements, security and feature updates, and other, non-promotional content. null – means that the user still didn’t indicate whether they are willing to receive promotional emails or not. Also, when you export the users’ list via the Freemius Dashboard, the flag will be included as part of the generated CSV file so you can easily filter your spreadsheet based on that flag. The extra field will only be shown to EU users that have never opted-in before. If an EU-based customer had already provided their consent once, then the opt-in consent section will not be shown on the next time they will check out. This selection basically controls the new is_marketing_allowed mentioned earlier. Luckily, we’ve been tracking the geolocation of users to help you track the geo-distribution of your user base. We’ve automatically set the marketing flag to yes for those users. So as of today, the flag is set to yes for all users/customers that are not from the EU, and for customers that are from the EU that purchased after April 25th and have explicitly chosen to opt-in to promotional emails. The flag will be set to ‘no’ for all EU customers that purchased after April 25th and explicitly asked to not receive promotional emails. Lastly, it will be set to null for the rest of the EU users. To help you comply with the GDPR, we have just released version 2.1.0 which incorporates key updates to the SDK for GDPR. Please update your plugin/theme with the newest SDK version asap. Like always, make sure that you test it thoroughly before the release. 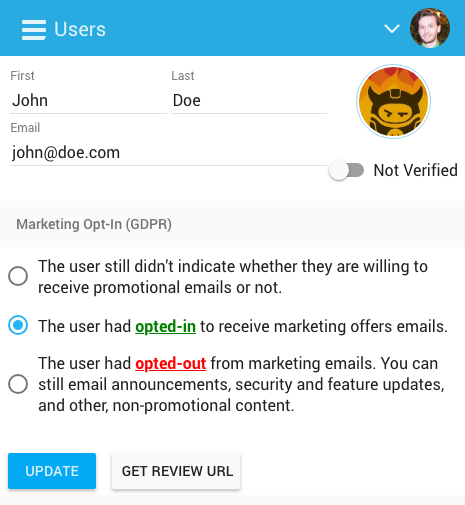 The default opt-in message was adjusted for EU users, making it clearer that they are also opting-in to potential marketing and offers via email. 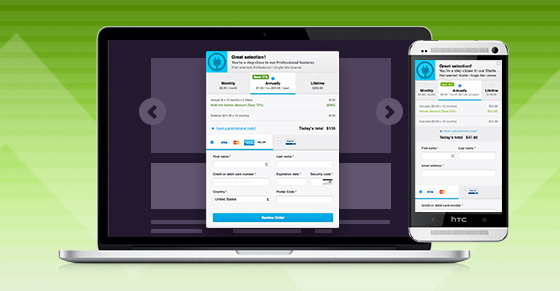 Once you upgrade to the new SDK, the marketing flag will be automatically set to yes for all new users that opt-in. Never miss an important update – opt-in to our security & feature updates notifications, educational content, offers, and non-sensitive diagnostic tracking with freemius.com. A new friendly admin notice will be shown to EU users that already opted-in before and their marketing flag is not set (or set to null), to encourage them to opt-in to marketing emails. 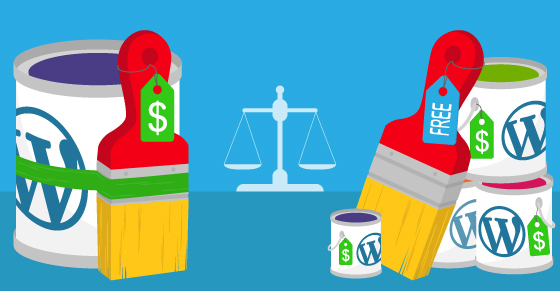 To avoid a flood of admin notices, if the logged in EU admin opted-in to multiple plugins and themes on the same WordPress install, the SDK will only show a single collective message for all the products and the decision taken by the user will affect their marketing flag for all those products. If the admin chooses to dismiss the message it will reappear every 30-days until a decision is taken ('yes' or 'no'), or if the marketing flag will be updated via one of the other mechanisms. If you’re using the Freemius MailChimp integration we’ve got great news for you! The marketing flag was already synced with all your previously added subscribers and will keep syncing automatically, as long as your Freemius MailChimp rules are set and active. Keep in mind that while you are not allowed to send pure marketing offers (e.g. seasonal discounts) to subscribers who’ve not opted-in (their FS_GDPR field is not equal to 'yes'), you can still email product-related announcements, security-related messages, and other non-promotional emails. The marketing flag sync is one-directional. Updates in Freemius will be reflected inside MailChimp, but not the other way around. So if a user unsubscribes from your MailChimp list, Freemius will not be aware of that! To achieve a bidirectional sync, you can leverage MailChimp’s webhooks mechanism to trigger corresponding calls to our API. The MailChimp integration is not included for users on the free plan that are not monetizing with Freemius. So even if you’ve been a paying customer before and are now on the free plan, we’ll not sync the marketing flag with subscribers that were previously generated via the integration. 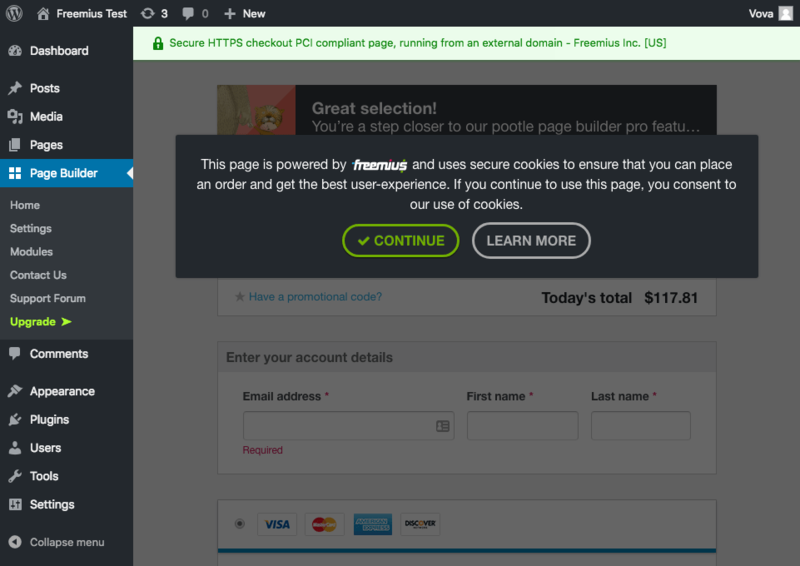 We decided not to activate this overlay when using Freemius Checkout on your site and let you handle the cookies consent logic. That way you have the freedom to implement the cookies consent as you see fit. If you receive a request to export a certain EU user’s data, please forward the request over to [email protected] and we’ll export it into a JSON format and send it to the user in a timely manner. As we are already working on the members’ area, we’ll include a robust option where users will be able to export their data themselves, directly from the dashboard. If an EU user asks you to delete their data, just like with the SAR, simply forward their request over to [email protected] and we’ll delete it. Account deletion will also be possible in the upcoming members’ area. Bottom line: for now we’re not touching our Cart Abandonment Recovery mechanism. This is the core business of some companies and they are already investing lots of dollars into legally figuring out this puzzle, so we’ll keep watching for updates and iterate based on their findings.